기사요약: 정부가 끊이지 않는 방산 비리 사건을 척결하기 위해 역대 최대 규모의 ‘방위산업 비리 합동수사단’을 출범을 준비하고 있다. 이르면 이번 주 중에 민간 검찰과 군 검찰, 감사원, 국세청 등 사정기관을 총동원한 합동수사단을 서울중앙지검에 설치할 예정이다. 해군고속단정 납품 비리 등 일련의 방산업계 부패 스캔들로 방산관련 정부 기관에 대한 국민 반감이 확산되고 있는 가운데 방위사업청은 강력한 인적 쇄신을 계획하고 있다. The government plans to establish a large-scale investigation team of civilian and military prosecutors, state auditors, police and taxation officials to stamp out rampant corruption in the local defense industry, officials said Monday. The details such as the launch date and the scale of the team have yet to be finalized, and the government is expected to make an announcement as early as next week, according to the officials. In the wake of a series of corruption cases involving current and former military officers, calls have been mounting for a sweeping reform of the state defense procurement mechanism. Pointing to a string of bribery cases, critics have berated the government for wasting taxpayers‘ money at a time when North Korea’s military threats are escalating. 기사요약: 유럽우주국 (ESA)이 쏘아 올린 탐사선 로제타호의 탐사 로봇 ‘필레’가 인류 역사상 최초로 혜성 착륙에 성공했다. 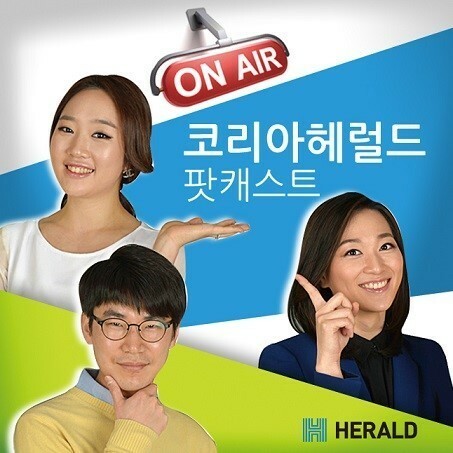 필레는 혜성의 얼음과 먼지로 덮인 표면에 안착하여 12일 오후 지상으로 신호를 안정적으로 수신했다고 유럽우주국은 밝혔다. 이 탐사 활동은 지구 생성의 기원을 알아내는데 크게 기여할 것으로 전망된다. Landing with a bounce after traveling 6.4 billion kilometers, a European spacecraft made history Wednesday by successfully reaching the icy, dusty surface of a speeding comet ― a cosmic first designed to answer big questions about the universe. The landing by the washing machine-sized craft after a decade-long journey required immense precision, as even the slightest error could have resulted in stellar calamity. 기사요약: 다음달 한국 시장 진출을 눈앞에 둔 스웨덴 가구업체 이케아가 세계 지도에 동해를 ‘일본해’(SEA OF JAPAN)로 표기한 것으로 밝혀지면서 논란이 일고 있다. 또한 다른 나라에서는 저가 전략을 펴면서도 한국에서는 일부 제품의 판매 가격을 미국보다도 최고 1.6배 비싸게 책정해 비난 화살을 맞고 있다. 이케아 코리아는 일본해 표기와 관련해 공식 사과를 하는 한편 상품 가격 조정 계획은 없다고 밝혔다. Swedish furniture and appliance retailer IKEA, which will open its first outlet here next month, is facing criticism for using the name “Sea of Japan” on its products and website to name the waters between South Korea and Japan. The company was also rebuked for charging more for products in Korea than overseas. Consumers had expected IKEA to stay true to its promise to provide high-quality goods at affordable prices. The controversies arose after IKEA Korea officially opened its official website last week to unveil some 8,600 items that will be sold online and at its first Korean store in Gwangmyeong, south of Seoul, to be opened in December. In it, IKEA used a world map with “Sea of Japan” marked in a file introducing its global network.